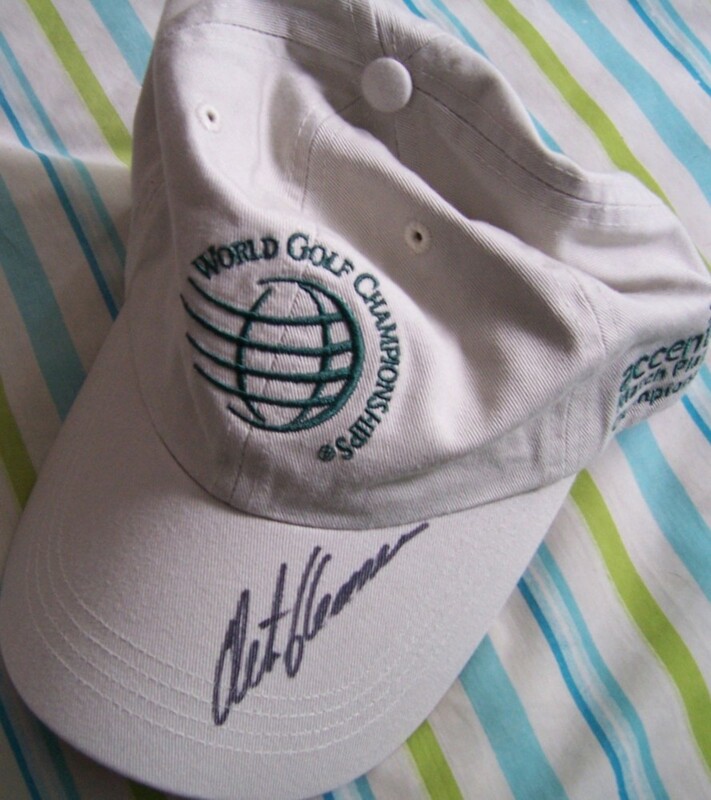 Beige World Golf Championships cap autographed with a rare FULL NAME signature by two time U.S. Open winner Retief Goosen. ONLY ONE AVAILABLE FOR SALE. With certificate of authenticity from AutographsForSale.com.